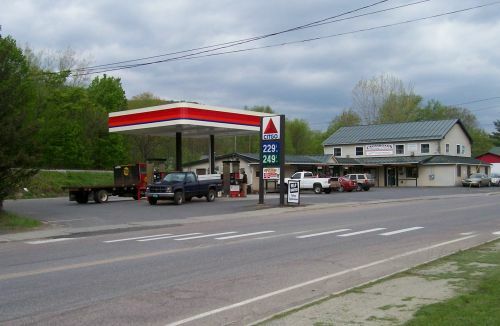 On February 28, 2019, at approximately 0913 hours, Troopers from the Vermont State Police - Middlesex Barracks responded to a reported theft at the Crossroads Beverage and Deli in the Town of Waterbury, Vermont. The weekend of Sept. 10, Crossroads Beverage sponsored the annual Fall Classic golf tournament at Blush Hill Country Club. Waterbury Police Department is seeking your help in identifying a man stealing liquor. The man in the photos is seen stealing two bottles of liquor from Crossroads Beverage and Deli. Full service deli. Pizza, salads, subs, hot foods, burgers, fries and Creemee stand. Soda, Snacks, Groceries, and the Vermont State Lottery sales. Vermont State Liquor Agency. Large selection of beer-both import and domestic. Over 900 labels of wine from around the world. Excellent grinders. Not stingy with the toppings and have a nice honey mustard. Thurs nights is half-price pizza too. 787 times over the past 30 days.